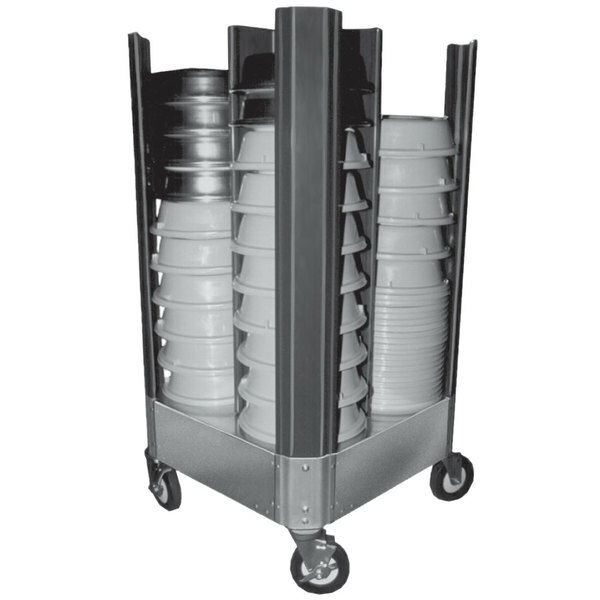 Perfect for banquets and catering operations of any size, the Cres Cor 501-10-480B plate cover dolly makes it easy to move large stacks of plates both quickly and easily. 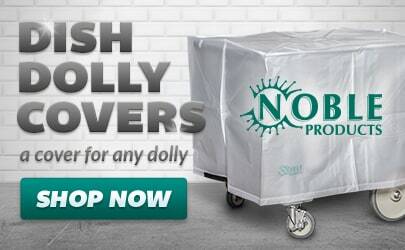 This versatile dolly holds standard plate covers between 9 7/8" and 11" for effortless transport and storage. The unit boasts one-piece Hi-Tensile aluminum construction to withstand high volume use in any environment, while protective plastic coating is fitted at each point of contact to protect the plates and covers. A total of four 5" heavy-duty swivel casters, including two with brakes, provide exceptional mobility even when fully loaded. No-rust sealed bearings prevent "wheel lock" in wet settings, ensuring the cart can also be moved through and around a dish room without worry. Additionally, cross-brace reinforcement on the base provides added strength and the special wide track caster placement ensures stability at all times. Capable of holding up to a 32" stack of banquet covers within each compartment, the Cres Cor 501-10-480B plate cover dolly will be a welcome addition for your catering and serving staff.